Within easy walking distance of my home, the local pond usually gets my attention during the afternoon after lunch, arriving back home in time for tea. 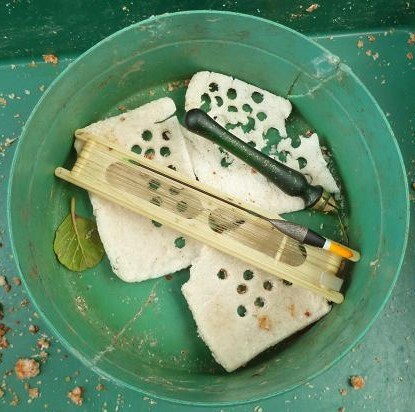 With it stuffed full of late feeders, such as common and crucian carp, I skipped tea, making do with a slice of cake to keep me fueled and walked the trolley down to the recreation ground before 5 pm. Fish were already moving as I set up my pole, with a patch of bubbles on the surface 9 metres out and I made myself comfortable for what I hoped would be a productive few hours fishing. 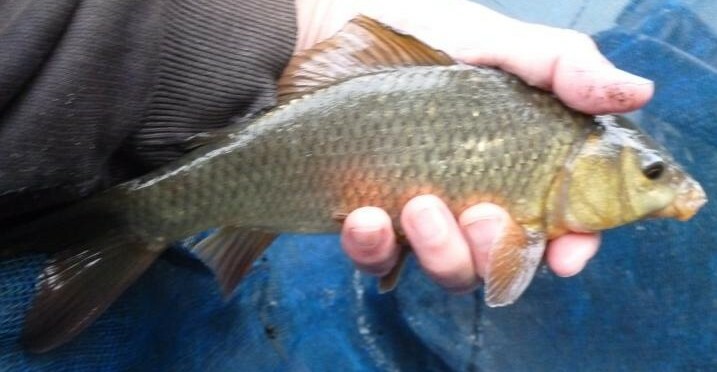 On previous visits I’d also had a lone mini tench and wondered if there were more of it’s bigger brothers about. 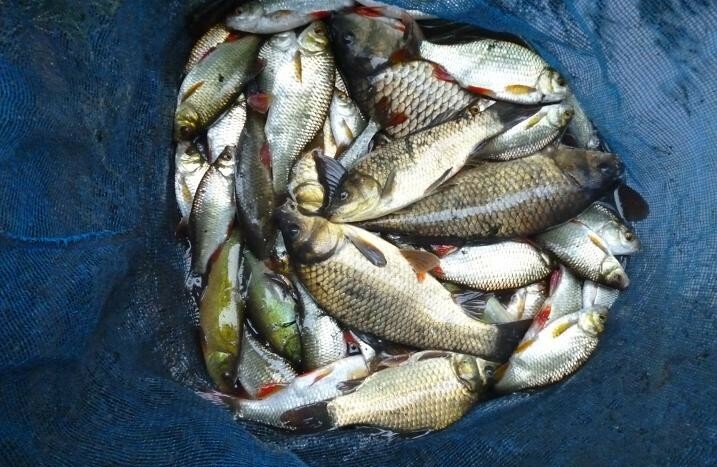 My only bait was sweetcorn defrosted from the freezer, my first dilemma being being to loose feed, or ball the corn in ground bait, knowing that the bread base would bring the rudd multitudes into the swim. I opted for the latter, feeling that the size of the bait would select the better rudd and the pole is an efficient method for emptying a swim of these fast biting fish. As predicted, the float slid away the moment it hit the water and the first of many rudd swung to hand. Prepared for action, I was wearing my tatty old bait apron, a relic from my first ever match team, which was sponsored by a local tackle shop, the shop name covered by a handy pocket, when I moved on to another team. You can’t buy aprons like this anymore, it being ideal for cleaning the hands with bread baits and slimy fish. The rudd were coming one a minute, the fins varying from bright red to variegated like the one above, to gold like the one below. The balls of feed had caused an eruption of bubbles from the bottom, but the surface feeding rudd kept coming, despite overshotting the float nine inches from the size 14 barbless hook. At last a different bite, the float lifting and dropping in rapid succession, to finally sink away. I expected a bigger fish, but this little tench managed to pull the heavy elastic from my pole, trying to hold it still for this picture, also proved a challenge. 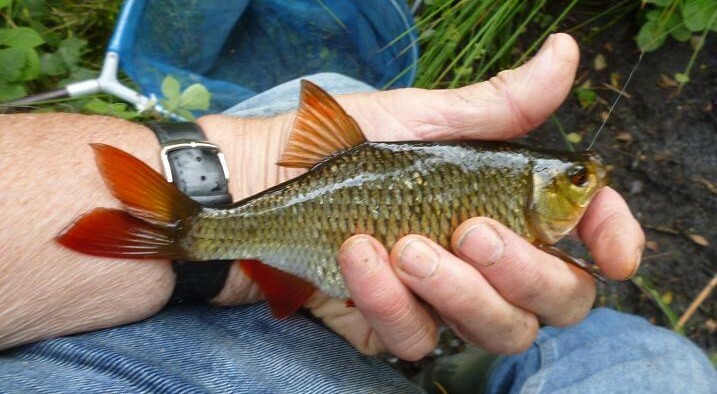 The rudd continued to take the sweetcorn, but who cares, when pretty fish like this are coming one a chuck? 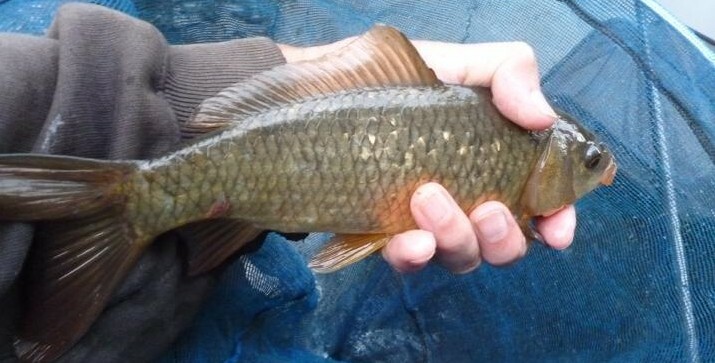 A more fiddly bite resulted in a miss, but the next one set the hook and a small crucian came jagging away to the net. The rudd got fewer and the crucians got bigger. 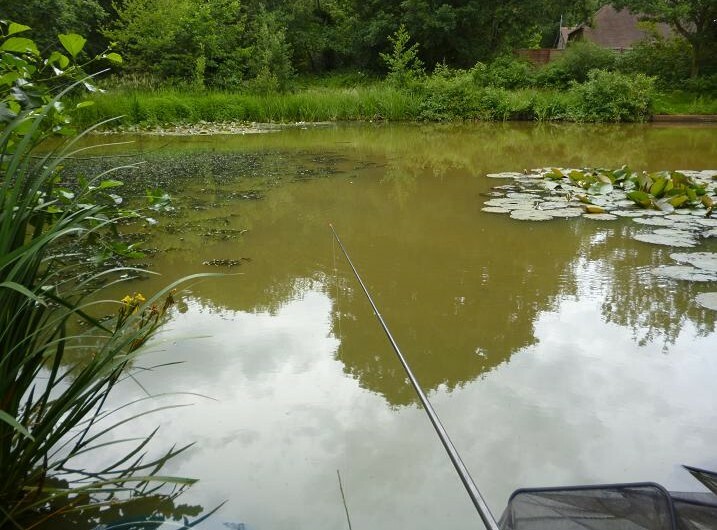 A steady sinking of the float across the swim, heralded a better fish and the elastic shot out from the pole tip, as I lifted into a common carp, that stirred up the mud in a frantic attempt to escape, diving into the lilies, then out through to the middle of the pond. Eventually the elastic came back to me and I could break the pole down to 3 metres to bully it to the net. Getting on for two pounds, this fin perfect common carp, was the first, in what was warming up to be a busy evening. Rudd and crucians being interrupted by a brief flurry of small tench, this being the best of half a dozen. 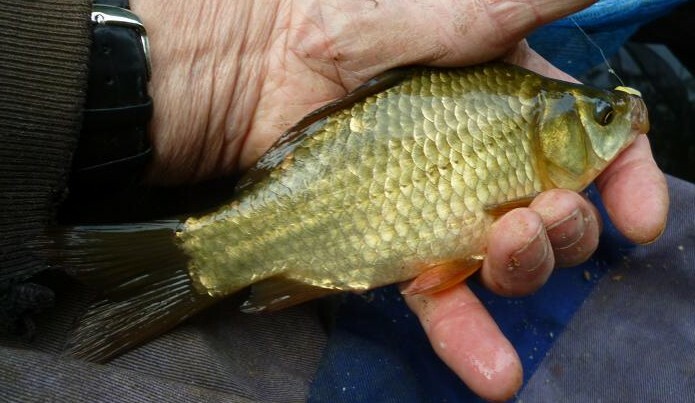 The rudd had finally been pushed out by the carp and tench, while more elastic stretching commons were turning the water black in their struggles. My set time to pack up of 8 pm was fast approaching and on the dot, the float cruised away, being a passenger on a fast moving carp train, the elastic extending to it’s full limit, as a much bigger fish made off toward the middle and I grabbed lengths of pole in an effort to ease the strain, hanging onto the full length at 11 metres, as it raced around the shallow pond. At some stage during this battle, I was joined by a passerby, an East European and a fisherman, who sat down by my side offering words of encouragement in broken English. Fish and angler were getting tired, but I was winning, lengths of pole were coming off and the runs were shortening; this would be my best carp ever from the pond. My landing net was out and I was down to 3 metres of pole, the carp was wallowing on the surface and only needed another two feet, when pop, the hook came out. I looked at my watch, it had taken ten minutes to lose this fish. Looking at my new found companion in disgust, I responded to his gestured suggestion that I try again and dropped the float back into the bubbles. It sailed away again at top speed, the elastic zoomed out, but this one just kept going, only for the rig to ping back, when the barbless lost hold. That was enough, I was being out gunned, almost relieved at losing the fish. Time to pack up. On the scales this net, aided by my much stronger Lithuanian friend, pulled round to just short of 15 lbs, enough for any angler in just a few hours fishing. The up hill walk back home seemed a lot steeper this time round. 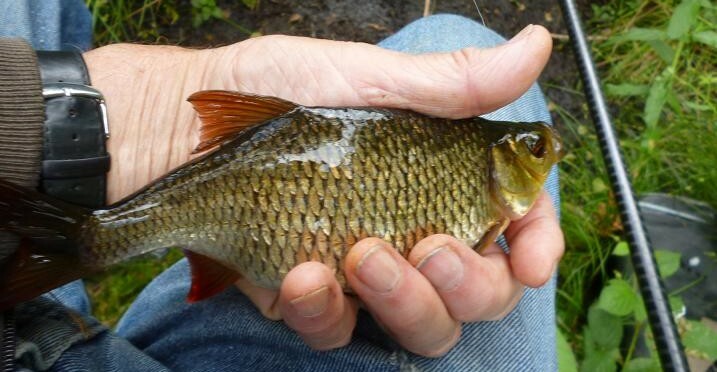 I could not ignore the first day of the coarse fishing season, June 16th and had my sights set on a stretch of river nearby, but events overtook me, being unable to reach a tackle dealer to buy maggots for bait. Checking through the freezer, there was a small bag of liquidised bread and a few quarter slices of white loaf, unused and returned, following a previous winter session over three months ago. The crumb was thawed out in the microwave and broken down, while the slices were also microwaved and rolled out to 2 mm thick and rewrapped in the cling film, that had held them. They felt a bit crusty, but would work well enough with a large punch. There was not enough crumb for the river and decided to try a small pond, spotted while on a family walk this spring, a boggy wood between the main road and a housing estate, having recently been transformed by building a boardwalk through the area, where a slow moving, meandering stream, creates a series of shallow ponds. 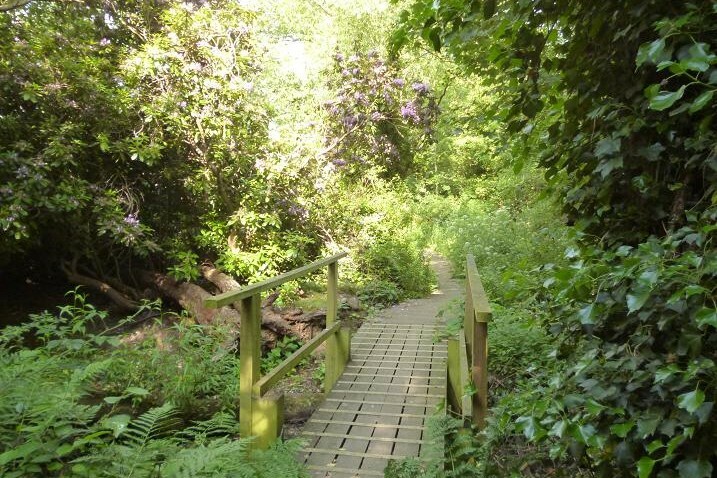 Loading up my trolley, I made my way through the now overgrown wood, past each pond, some almost dry, while the others were covered in a green scum and looked decidedly stagnant. By the time the last pond was reached, I was convinced that this was a fool’s errand. Half of it was now dry black mud, the remainder much smaller than I remembered, looking more suited to newts, than fish. There was a gap between the trees wide enough to swing a pole out and I set up on what is now a muddy beach, clearing away 4 ft high nettles to allow room for my box. This was true virgin country and already had my doubts about this dark pool, but the water was clear with 30 inches depth seven metres out. Lightly squeezing a couple of egg sized balls of bread, I threw them out six feet apart and watched them spread and sink, hoping for a fishy response, swirls, or bubbles, but not a sign. Punching out a 6 mm pellet of bread, for the size 14 barbless hook, I thought that I would give it half an hour without a bite, before packing up. The float settled and sank immediately. I lifted and the elastic extended from the end of the pole, arcing round to the left, as the surface erupted in a shower gold flanks and red fins. A deep bodied, black backed rudd had taken the bread. Until that float sank, my ability to read a water had been challenged, but now I swung into full predator mode, hooking on another punched pellet, then shipping it out, to be sucked in again by another fighting rudd. The sun was bright, the rudd were coming one a chuck and I was heating up, my black jacket soaking in the solar energy, it taking three fish stages to remove. Yes, I could have stopped fishing to take it off, but that’s the trouble with old matchfishermen, they never lose that need to get as many fish in the net as possible. These rudd were barrel shaped, probably spawn bound and all between 4 and 8 ounces, obviously healthy, but I wondered where the small fish were in this shrinking pond. After a busy hour, there were over twenty in my net, adding ten more in the next half hour, before the bites began to slow. While feeding the occasional small ball of bread, I’d also scattered a few grains of sweet corn, but the rudd were only interested in the bread. 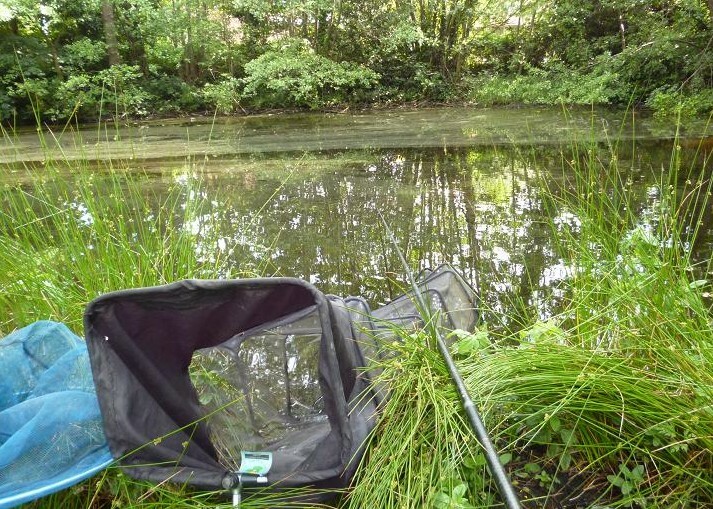 A group of tiny bubbles were regularly bursting on the surface to my right, signs that fish other than rudd were coming in to feed, possibly crucian carp and I invested time with the float sitting in their midst, watching it bob and dip, striking once, when it inched slowly away, feeling brief solid resistance. A return to the middle each time would bring another rudd and with my time limited, resolved to return another day with a more interesting ground bait, to encourage these mystery fish to feed. After two and a half hours, my already tired bread, was drying out and with an evening engagement planned, decided that an early return home, before the usual traffic crush would make a pleasant change. 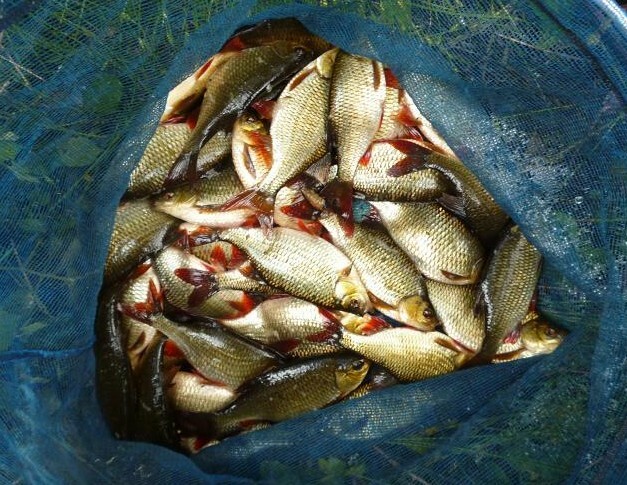 Pulling my net from the water, I was investigated by Poppy the dog, whose owner assisted the rapid transfer of rudd to my landing net for weighing and a photo, this net of over forty fish just topping 13 lb. 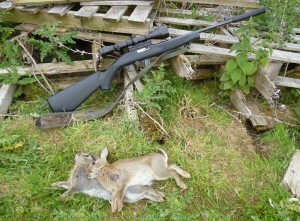 New rabbit shooting permission follows recommendation. My pest control efforts, regarding the increased rabbit population, have not gone unnoticed in recent weeks and the farmers’ bush telegraph had my name and number passed on to another landowner, desperate to be rid of them. 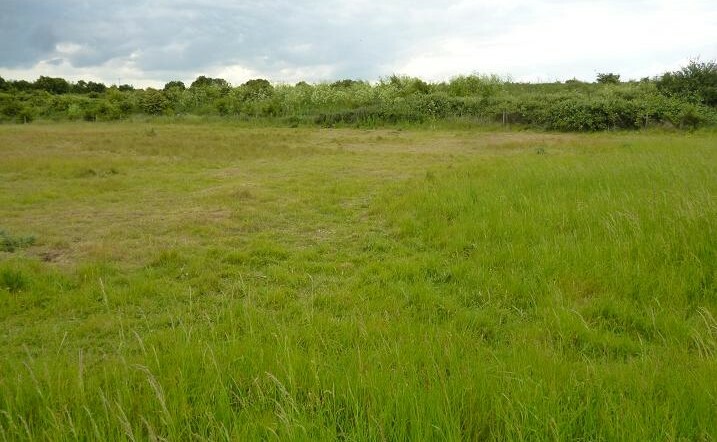 The land, either side of a lane, has been sub let to horse owners in recent years and become run down, but the new owner is keen to get the land back into beef production and arranged a meeting on the land. It was obvious from entering the first field, that rabbits were a serious and ongoing problem, hopping through from a raised area of brambles, that encircle two thirds of the perimeter, legacy of London’s Green Belt policy, that has seen much land blighted by the strict no building rules, only to fall into disuse due to lack of proper management. What should have been healthy long grass, which could have been gathered in for hay, had been eaten down to stubble by the rabbits in several wide patches, to be followed by digging and burrowing to get at the subsurface root systems. 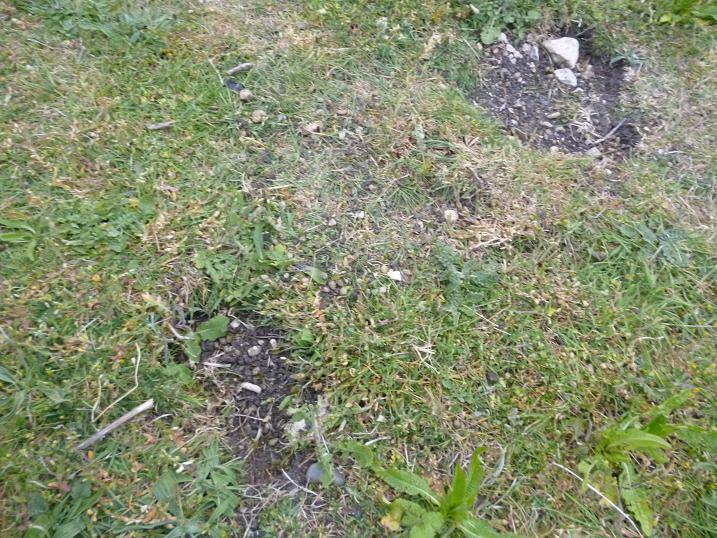 Rabbit droppings were everywhere and the cropping had allowed weeds to ingress on the soil. 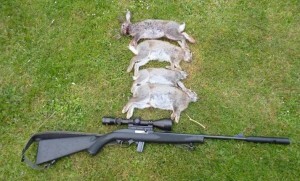 I doubted that shooting the rabbits alone would solve the problems of this land, but I’ll leave that up to the farmer. I’d taken my Fire Arms Certificate and insurance with me, to put the land owner at ease, regarding the legality of shooting on his land, while pointing out that having an “open ticket” saved a visit from the local Fire Arms Officer to approve the land for shooting. The other field of about 40 acres, had it’s own problems, being enclosed on two sides by the lane and a main road, which would give back stop difficulties, restricting safe firing positions from it’s many undulations. 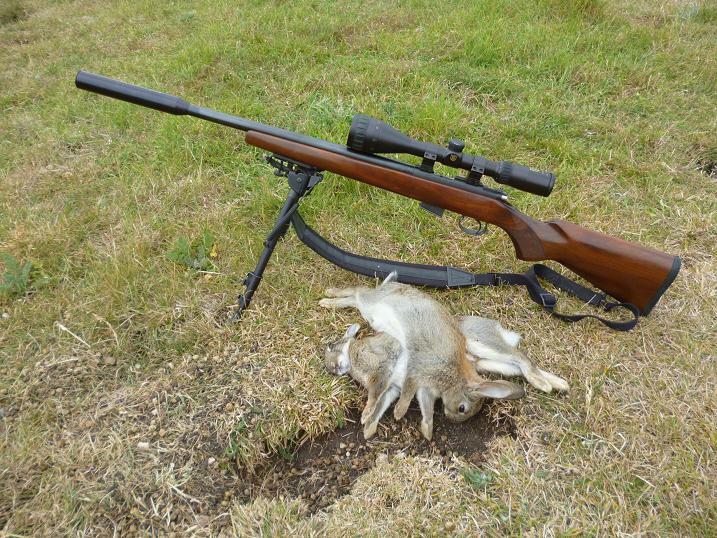 I had taken my CZ 452 HMR rifle with me to show the farmer and he was happy for me to demonstrate it’s effectiveness, there being a few rabbits grazing among the long grass already, despite it only being early afternoon. Resting on the fence to his yard, I aimed below the first set of visible ears 60 yards away and saw them disappear with the first shot, two others popping up from the grass nearby to see what was going on. The second was knocked down, while the other ran to the edge 80 yards away, but didn’t make the fence. 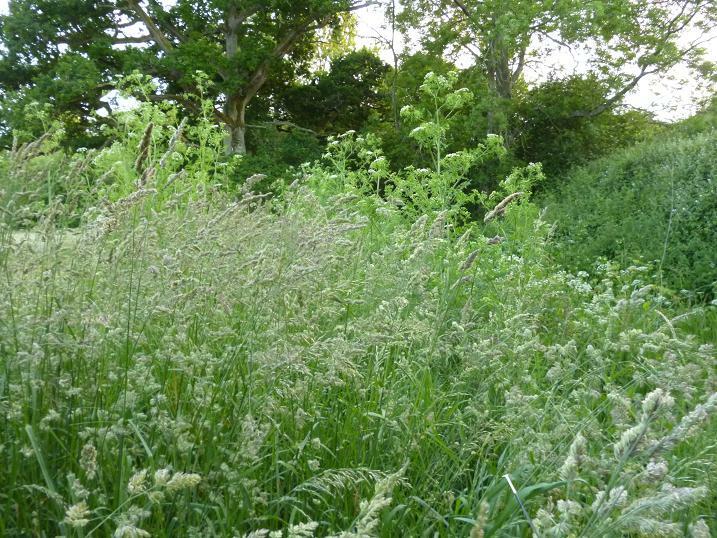 White tails and ears were now visible, retreating to the brambles, at least ten rabbits in this small corner, the field stretching down to woods at the western end, which are also part of the permission. 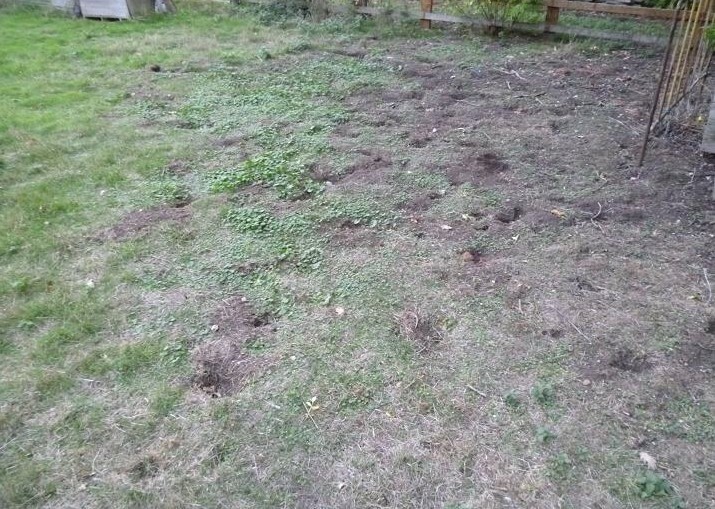 This will take some clearing and explained that once the grass was cut, I could take advantage of the long range accuracy of the rifle and stop playing Hide and Seek with the rabbits. Trout Duffer’s Fortnight gives way to slim pickings. A motor touring holiday in France, over the past two weeks, driving my classic MGB in the company of like minded souls, ranks high in my list of enjoyable holidays, but returning to find that I had missed one of the best Mayfly hatches for years, put a tarnish on the gloss of treasured memories. A warm breeze blowing east to west, meant an upstream wind on a streamy stretch of the river Kennet, known for it’s head of wild trout and I made the 30 mile trip west on the motorway this week in the hope of a few late mayfly supping trout. As a new member of the club, that owns the fishing rights to the water, I first had to find the car park and unlock the gate, the van only just clearing the height bar. That was the first plus point of the evening, balancing out the rush hour drive to the venue. The fishing was upstream of the car park, which meant dodging the traffic on the main road, weighed down with waders, rod, net and tackle, finding myself looking at the river flowing down to the bridge, without any sign of access to the bank. Consulting the club map book, the instructions were to pass through the farm to the river bank. There may have been a farm there 50 years ago, when the map was drawn, but now a retail outlet was in it’s place, with warning signs of gates being locked at 6 pm. This had to be the place and I gathered up my equipment and waddled my way through the bemused customers, scissors and fly boxes rattling, as I progressed through the throng. I startled a weasel in the customer car park, the two inch high predator scurrying off at the highest speed it’s short legs would carry it. Arriving at the riverbank, I was confronted by fresh vegetation, that reached up to my chest and began pushing my way through, but soon thanked the stars, that I’d put my waders on, as it was obvious that I was the first angler to visit this year and wading was the easier option, than trying to force my way through the jungle of bramble and willow. 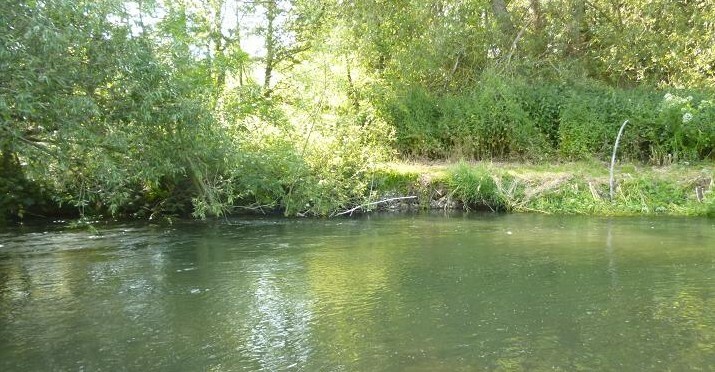 The book states, that there is 400 yards of fishable bank and could hear a weir in the distance, but it would take a week of chopping and strimming to reach it at this rate. As a club with perfectly manicured carp waters, it is easy to see where their priorities lie, regarding working parties. 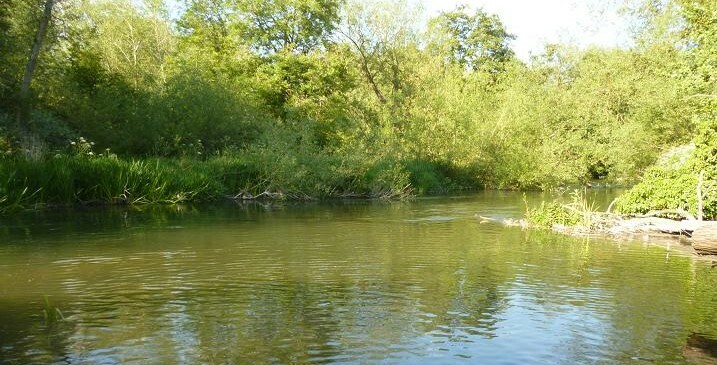 Moaning over, I got down into the river and began wading up toward a long pool, which looked perfect, as it ran round the outside of a bend, with sedges fluttering across the surface, although the tell tale rings of rising fish were absent. I opted to fish a Flash Back Hares Ear gold head nymph and once within range, cast to the tail of the pool, drifting the nymph back across the shallows. Just as I was about to lift for another cast, there was a swirl and I was splashing a small dace across the stones. 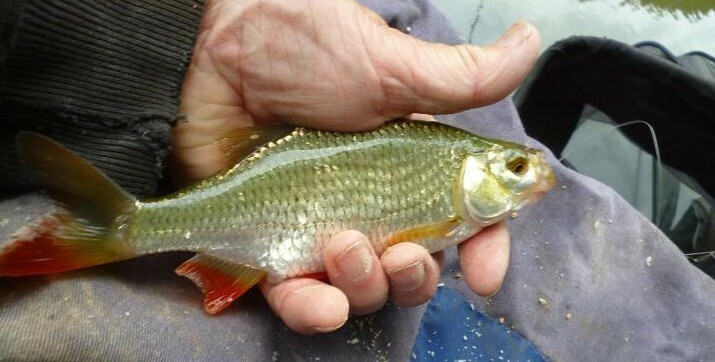 For the next dozen casts, there was a take, or another dace, these fish lying in the last few inches of water, before the river broke across the gravel. I’d either hooked them all, or scared them off and I moved up a few yards at a time searching out the deeper water, casting up and across, retrieving the nymph through the slower water on my side. Several times the line darted forward and a few more dace were hooked, the largest giving a good impression of a trout, as it fought it’s way across the river. This was all good sport, the handbook referring to the stretch being noted for it’s plentiful roach, dace and small barbel and I made a mental note to try to fit in a session on the stick float, once the coarse season begins. The willing dace did not make up for the fact that I’d not even caught a trout parr yet and my last shot would be casting up under the trees at the head of the pool. First cast I missed a swirl at the nymph, as it dropped in just short of the overhanging branches, of course never to be repeated, ten minutes of running the nymph along the far side yielding a blank. I waded in deeper, up to the edge of the willows and made tricky casts upstream among the branches, seeing the line zoom away to a solid resistance, followed by the gold bronze flash of a hard fighting brown trout. At last, what I’d come for, but now I had to get it out from among the branches, laying the rod over flat and not giving line, until the trout turned to run downstream. The brownie ran along the opposite bank, before diving to the middle, making head shaking runs, that can easily throw a barbless hook. With a relatively short line out, I was able to play the fish on the reel, bringing it to the surface to pose for a picture, although it had dived again before I was ready. 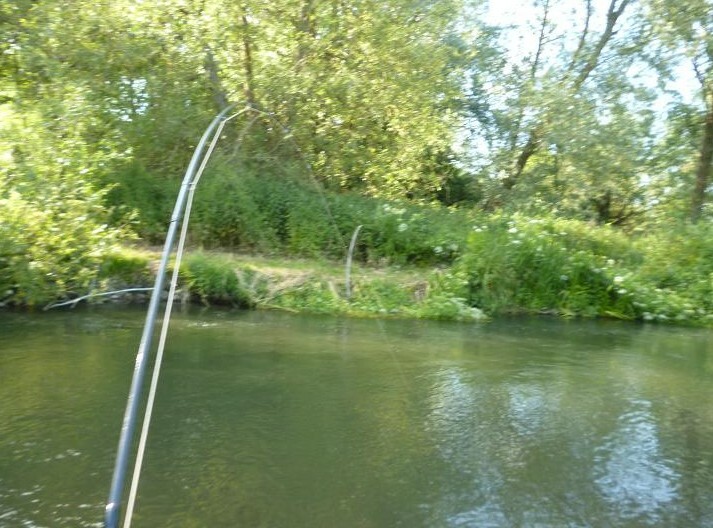 My net was leaning against a willow midstream and had to walk the brownie back across the shallows to get it, if I was to lose the fish, now was the time, but it came to the landing net with the minimum of fuss. Two weeks ago the river would have been alive with fish like this taking Mayfly, but was pleased that perseverance paid off, this pound wild fish swimming free minutes after. My desire to catch a trout from the Kennet with a fly rod satisfied, this being my first, I was soon back on the bank, fighting through the undergrowth, reaching the car park of the retail shop, as the shutters were being lowered, saving me a climb over the gate at 6 pm. The traffic was now queuing both sides of the road, these frustrated drivers unaware of the natural wonders only yards from their cars, as I threaded my way through them with a smile on my face. Pest Control. Magtech .22 semi-auto makes up for lost time. The mild wet winter had two effects this year, I was not out shooting adult rabbits and the does were on their second broods by the time I was prepared to venture out. That mild winter also allowed the hay to grow rapidly and now many of the rabbits are safe in the tall grass, but a call from my lady with the cottage garden, spoke of rabbits everywhere, despite a couple of visits, that had already reduced the numbers by a dozen. Once again I took my Magtech .22 semi-automatic rifle to the immaculate garden, where the lawn was being dug up and the tender plants eaten by the furry scavengers. Leaving the van in the drive, I peered round the front of the house to see my first target munching roots only 30 yards away. Cross hairs on and pop, it fell over. Sticking my head further round the corner, a brown blob was beside a flower bed ten yards on. Another rabbit toppled. The .22 silencer is very effective firing subsonic rounds and with the Magtech zeroed out to 60 yards, it is deadly with chest shots, ideal in this situation. I walked back round to the drive, with a view down the garden, seeing movement among the bushes at the rear. 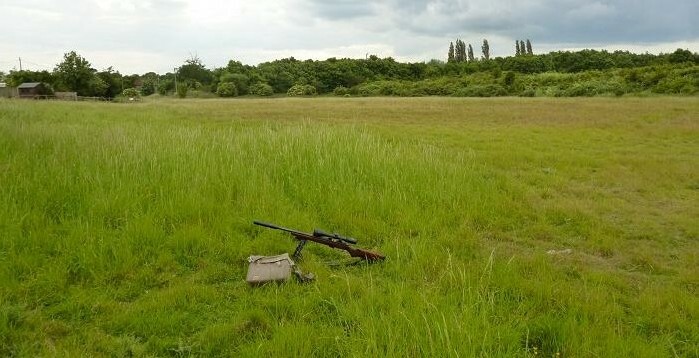 This was a good 60 yards and got down prone to rest the rifle on my gun bag, waiting for a static shot among the shadows. Two rabbits appeared and the larger of the pair jumped up with the impact of the 40 grain bullet, the other trotted forward and began feeding in a dip, only it’s ears visible. A few clicks of my tongue and a squeak sucking in air between my lips, brought the desired response of a raised head, this shot flipping the rabbit over. With nothing else visible, I drove down to the small farm at the end of the lane, where two more rabbits were feeding on the small hill at the entrance; parking up behind a shed, giving cover, as I loaded a fresh clip into the magazine. A waste bin on the corner gave a positive rest, as I got a bead on the first, which was in silhouette with the evening sun behind. It tumbled down the slope, followed by the other, which stopped running at the fence and sat up twenty yards away. The image in the scope was now blurred and refocused the ring down to the minimum 3 magnification, then squeezed off another shot with the expected result. 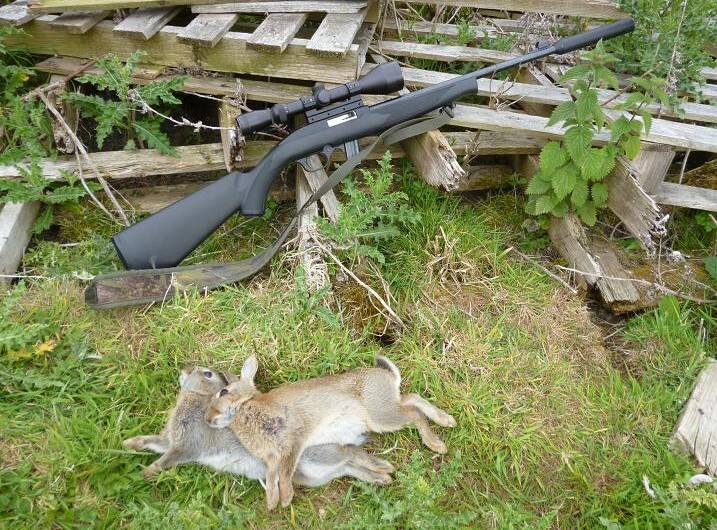 Some shooters disregard the semi auto, but with no need to work a bolt to feed the next shot, this type of rifle is ideal for close range pest control, where the delay and visible action of the bolt action can be enough to scare off a rabbit. I made my way along the path towards the barn, looking over the fence into a disused paddock. 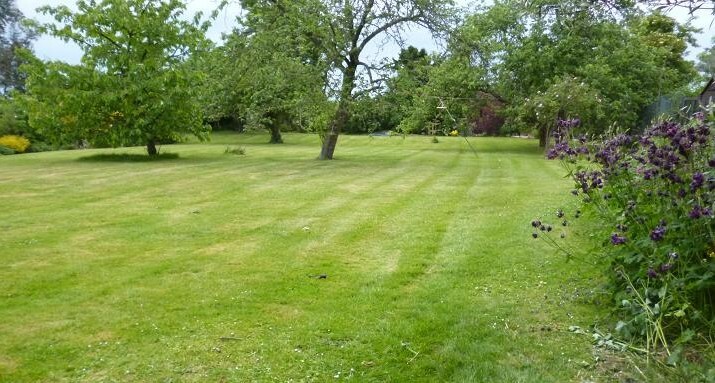 When I first visited this farm, there was only grubbed up soil here, now long grass swayed in the breeze, although in the far corner, much shorter grass was evidence that rabbits had returned. At this point there was movement in the long grass, and a rabbit broke cover back to the corner, only to get half way before being nailed by the second shot, as I rested on the fence. 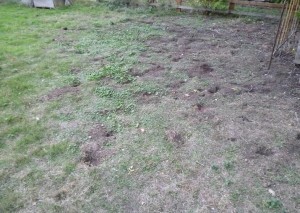 The next 50 yards saw an Annie Oakley replay, as bunny bashing commenced, a pair of grazers, pop, pop, then three runners getting two. These were all this year’s brood, out in the sunlight, the adults missing, hopefully shot earlier in the year. As I walked, more heads popped out of the grass and I fitted my spare magazine, ending up at the barn with a final sitter. I lost count of the final tally, as I was not shooting for meat, but including the garden, at least fifteen young rabbits would not grow to reproduce. 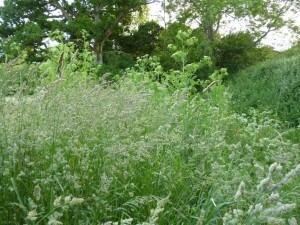 More visits are needed to keep the landowners happy, but may wait for the hay to be cut first.